PowerObjects today proudly announced it has won the 2013 Microsoft Customer Relationship Management (CRM) Partner of the Year Award. The company was honored among a global field of top Microsoft Corp. partners for demonstrating excellence in innovation and implementation of customer solutions based on Microsoft technology. Awards were presented in multiple categories, with winners chosen from a set of more than 3,000 entrants from 106 different countries worldwide. PowerObjects was recognized for providing outstanding solutions and services in customer relationship management. The CRM Partner of the Year Award recognizes a partner that has excelled in providing innovative and unique sales, services, solutions, and/or support based on Microsoft Dynamics CRM. “We are pleased to announce PowerObjects as the Microsoft Dynamics CRM Partner of the Year for its dedication to expanding business opportunities for its customers. 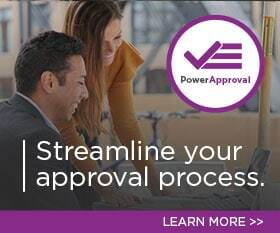 PowerObjects has demonstrated a commitment to delivering solutions, built on Microsoft Dynamics CRM, that provide immense value by helping their customers win and realize strong growth for their business.” – Rich Wickham, General Manager, Partner Sales, Microsoft Dynamics. For a full list of winners and finalists, visit the Microsoft Worldwide Partner Conference awards page.